Will not be available for long! 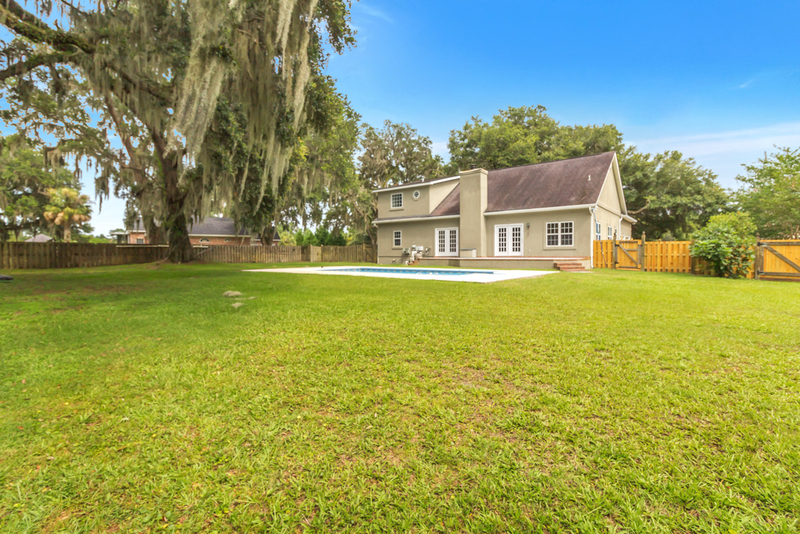 Great opportunity in desirable Kinsale neighborhood! 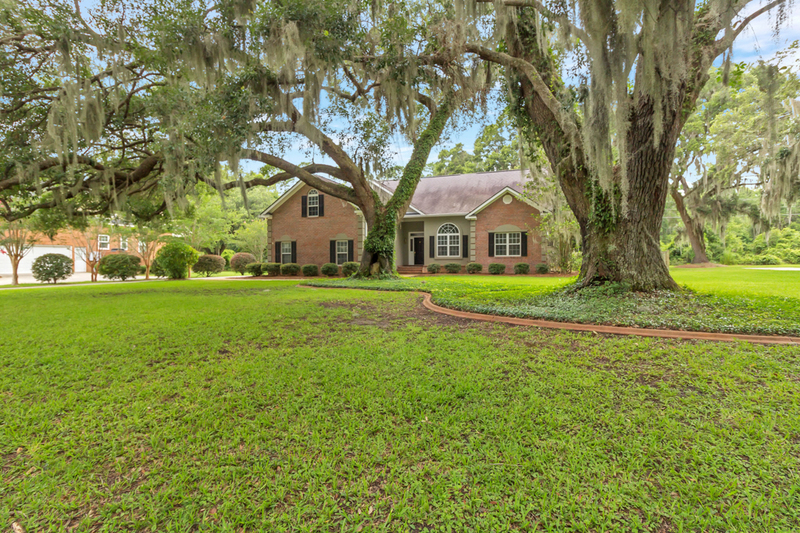 This 5bd/3ba home sits on a huge 0.55 acre lot with gorgeous large live oaks draped in Spanish moss! 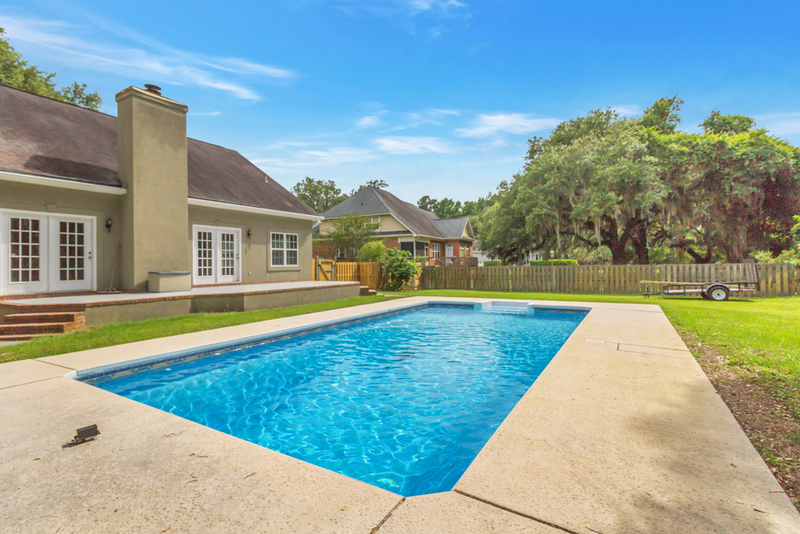 Relax and enjoy the morning sunrise with a cup of coffee on the huge back patio overlooking a very private fenced backyard with inground saltwater pool! Open floor plan with two sets of French doors leading to the back patio from the living room! Wood burning fireplace! 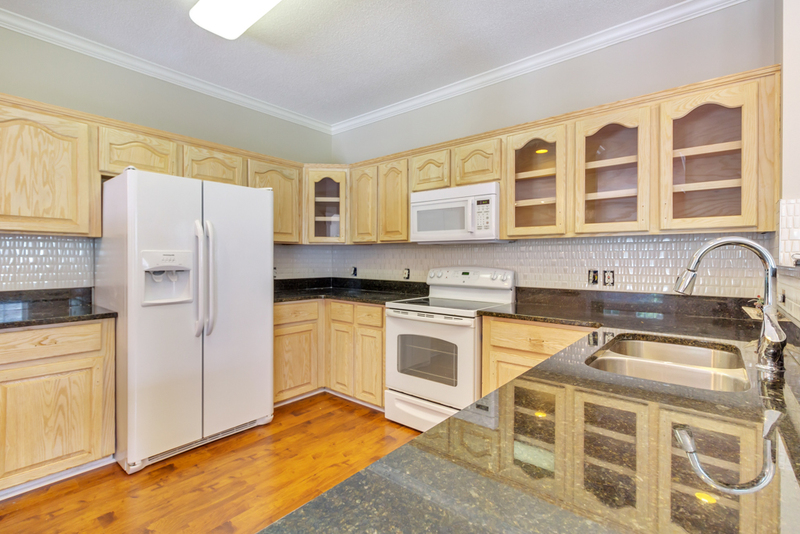 Updated eat-in kitchen with granite countertops, tile backsplash, and plenty of cabinet space! Separate formal dining room! All three baths have been updated! 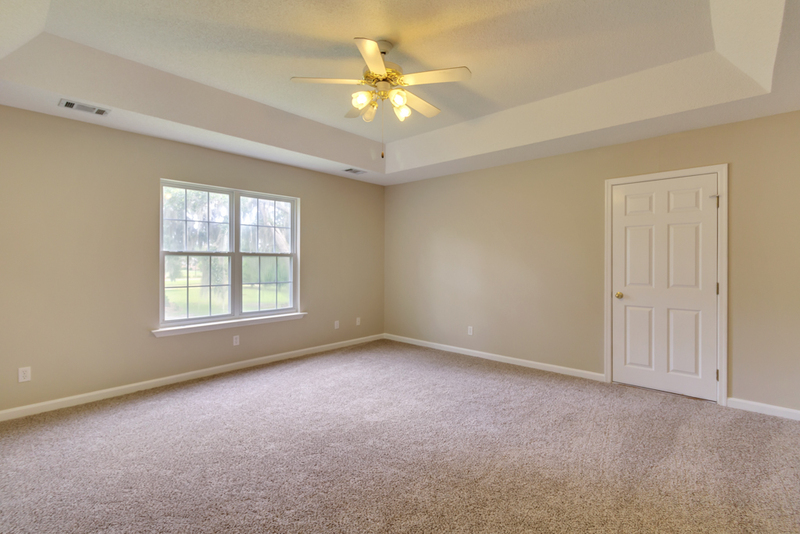 Two master bedroom suites with one on main and the other upstairs and both with walk-in closets! Two additional bedrooms on main and one upstairs! Plenty of walk-in attic storage! Submerged well irrigation system! Double gate access to park a boat in backyard! To view more information about this home in RICHMOND HILL, GA, including pricing and pictures, click here! 26 Rountree Drive has been a great home for our Familys needs over the past ten years. As a family of six it met our needs based on our family structure and the functionality of the homes location. Our family size has changed with time and graduations and we no longer require a home of this size. The inground pool was such a family fun feature that I cant believe we didnt have one at our other homes. The home has some great features: The in ground salt system pool has an underwater light for night swimming. The pump, filter, salt generator, and Polaris pool cleaner have been totally replaced in 2016. The yard has an underground submerged pump irrigation system. Very few yards in the subdivision have an irrigation system installed. The irrigation timer is new and has a rain detection automatic shut off installed. The back yard is full enclosed with a privacy fence. This will allow you to store a boat or recreational vehicle on your property. It will also allow your pets to have room to roam free. Wood burning fireplace or install some gas logs. Recent improvements include over 100 feet of Granite installed, new 12mm laminate flooring, new carpet, newly painted walls and trim. Four majestic 100+ year old Live Oaks that surround and protect the property. The neighborhood is tucked in South Bryan County where you can access the beautiful coast of Georgia waterways in a boat or relaxing dinner at FishTales restaurant. Plenty of scenery and history at Ft McAllister State Park. Energy efficient street lights in a beautiful subdivision with sidewalks on both sides of the streets. Great for early or late day walking or strollers. Our home is located in the McAllister school district and is in close proximity to the Richmond Hill Middle School and the proposed site for the Richmond Hill High School. You will be just a bike ride or walk away from Henderson Parks Baseball, Soccer, tennis courts, walking trails, softball fields, The Bark Park (dog playground) , Gymnasium and the McAllister Elementary School campus. If you love the Coast, enjoy being in one of the best public school systems in the State, and are in need of a home for your family that requires privacy, and access to all of the treasures offered to those that call this part of the world home, then you too have a great opportunity to make 26 Rountree Drive your address for life. To view more information about 26 Rountree Drive, Richmond Hill, GA 31324 including pricing and pictures, click here!